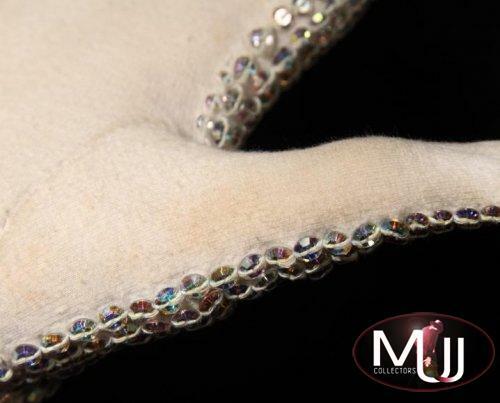 Custom-designed, white cotton right-hand glove, the back side of the glove is completely covered in clear Swarovski loch rosen crystals and the palm is bare of ornamentation. 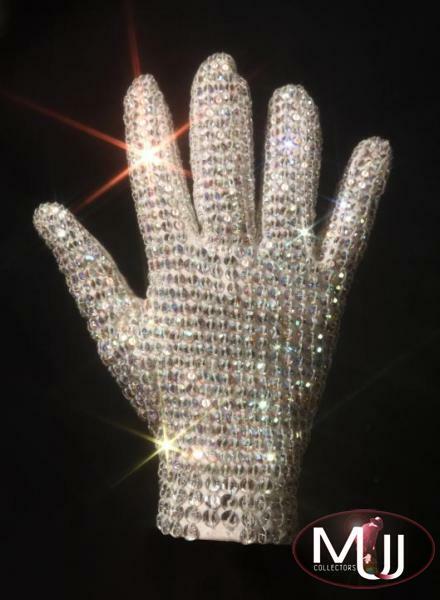 This glove was number one of four gloves commissioned for the Bad Tour, which ran from September 12, 1987 to January 27, 1989. 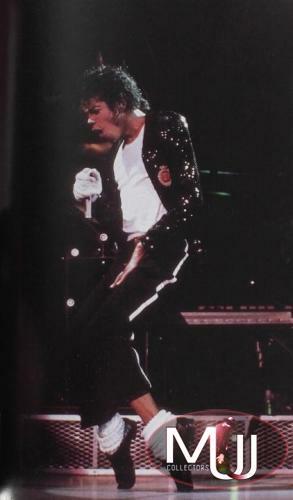 Jackson performed one hundred and twenty-three concerts on this tour, and this one is believed to have been used on the Australian leg of the tour. In the road case there were the four gloves, if there was a break-down or a problem with one, another was used. All four were eventually worn. Custom designed and with label by Michael Bush and Dennis Tompkins. 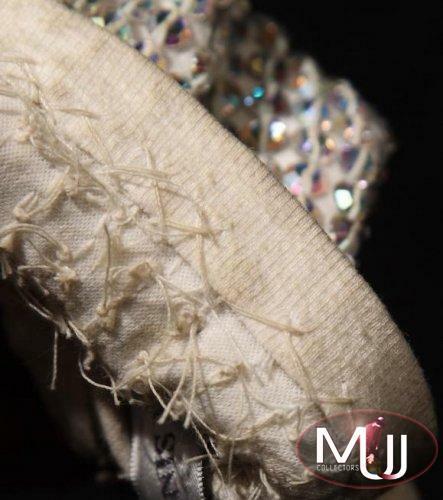 The glove is illustrated in the fifth color plate in the center section of the book Moon Walk by Michael Jackson, (NY: Doubleday, 1988), between pages 162 and 163. 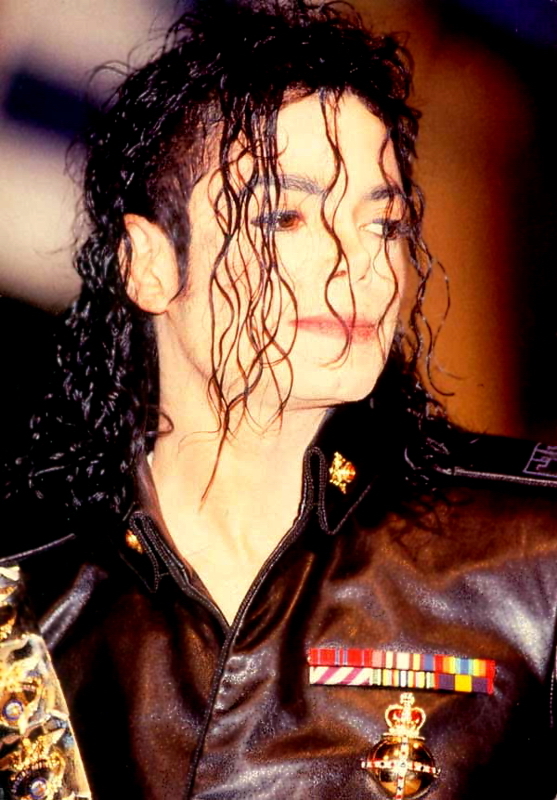 Sold by Julien's Auctions (Lot #586) for $330,000 at their 2010 Icons & Idols auction. All screen captures are the property of their respective owners.